Restaurants for Travel, how to make good choices by ais explained by Professional Travelers. Why eat in a Tourist Restaurant? Please understand, in a Tourist Restaurant we are trying to take the good part of the culture home, and avoid the negative parts. If you truly want to learn the true culture, you need to eat Street Food, or go to a Restaurant where tourist never enter. If you see a Foreigners, you are not immersed. 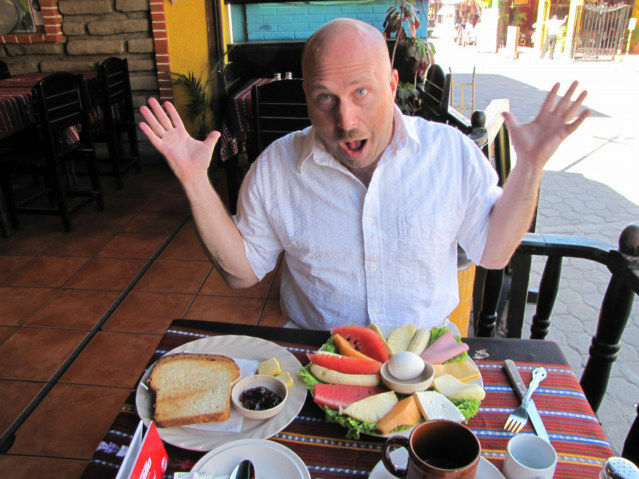 Restaurants Versus Street Food, learn why Professional Travelers recommend you eat the majority of you food from street vendors. How do we read a menu in a foreign language? What can a restaurant do to make it easier? There is a type of restaurant in the USA called a "Diner." 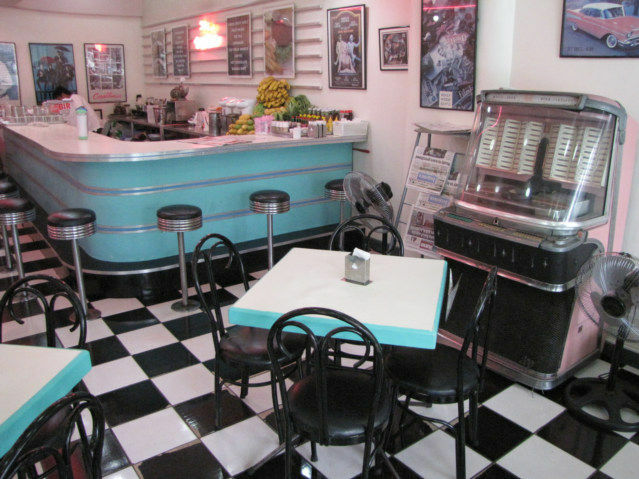 A diner is a prefabricated restaurant, often with an exterior layer of stainless steel. Hotels and restaurants abroad ask us to obey one rule that even my mother could not get me to obey. Avoid the negative parts of the local culture. Enjoy the good parts of a local culture. Eat Western Food, American Food, Developed World Food when in strange country. Learn information about the food of country, not just eat, but to be informed and educated. Avoid Beggars and Tour Operators that follow us into normal local restaurants. Owned by a Developed Country Foreigner and the Cleanliness and Local Culture negatives removed. Why not to eat in a Tourist Restaurant? Food can be old, and they do not throw aways, they know tourist only enter the restaurant one time, therefore they do not depend on repeat customers. It can be a sucker punch, they act as if they are giving you Western Service, but in reality a joke. Many day bags are stolen because thieves wait for you to enter. Priced at local prices if you are not naive and just pay what they say. Why Enter Chain Restaurants like Pizza Hut or Subway? Food is often different, but there is the core food the same.